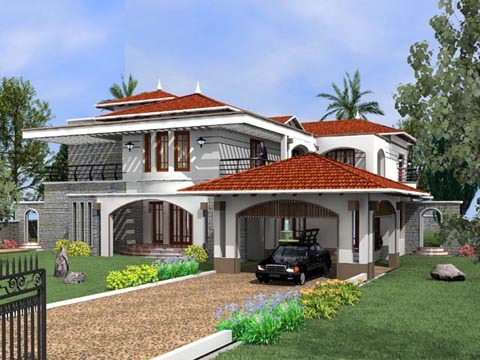 RENDERVIZ is a full service digital 3D modeling and rendering firm specializing in architectural rendering. At RENDER VIZ, we know that having the technical edge alone is not enough. It must be backed by the kind of craftsmanship and attention to detail we give every project. Precise, definitive, photo-realistic renderings created from your blueprints, sketches or any other source accentuate the finest details to give your clients the most accurate picture possible. Quick turnaround and even faster modifications ensure on-time delivery to your clients. Rendered models can be combined with existing structures in their natural surroundings for a seamless image of the finished project. This is especially helpful for remodels and retrofits. A wide range of image sizes can be created in all standard formats and many custom output file formats. You can save time and money by viewing and proofing your images on our web site. RENDER VIZ's 3D renderings cost a fraction of what you've been paying for hand-drawn renderings and have limitless potential for change. Any number of additional views can be produced for a nominal cost, to give you and your clients a comprehensive, customized view of the finished project.